For as long as we know, Givenchy mainly focuses on grained and smooth leather. 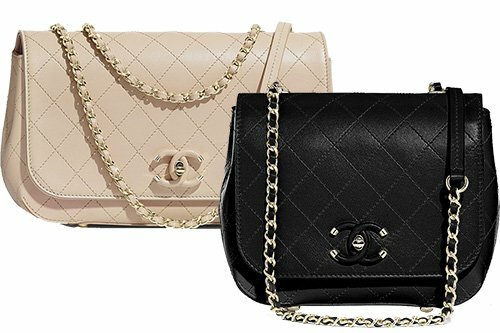 They craft handbags that look both stunning and classic. You can carry the Givenchy Antigona Bag for years and it will survive the abuses due to the quality of the leather. 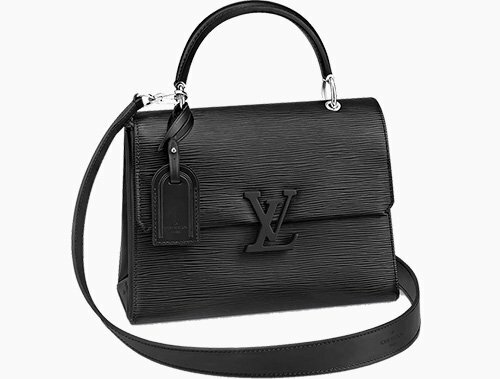 But like we’ve said, most bags look classic with minimalistic design. But recently things have changed a bit. First Givenchy implemented the Logo Painted Print on their classic handbags. The bags were painted with the ‘Givenchy’ logo on the front, surrounded with painted lines. However, there is no style comparing what Givenchy is unleashing now. It’s beyond fabulous. Let me compare it with this; Louis Vuitton has the Monogram, Goyard has the Goyardine, Chanel has the diamond quilting and Givenchy will be recognized by this G Logo Print, it’s introduced for the Fall Winter 2018 Collection. So what’s the G logo? It’s better to look at it than explaining with words. So take good look at the zoomed image of the leather. The G logo is like a new form of quilting. It makes the bag look chic yet it’s designed so lightly that we don’t feel like it’s exaggerated or screaming for attention. The G logos are created with little stitches, which take a lot of effort to create. Because this print is still new, it’s not embellished on all the classic handbags yet. But what we do know is that the lovely Antigona G Logo Bag is out and released. In the future, there will be more options. The newest G logo transformed any Givenchy handbag into a timeless accessory. So expect this print to stay forever, and become the house’s next iconic. 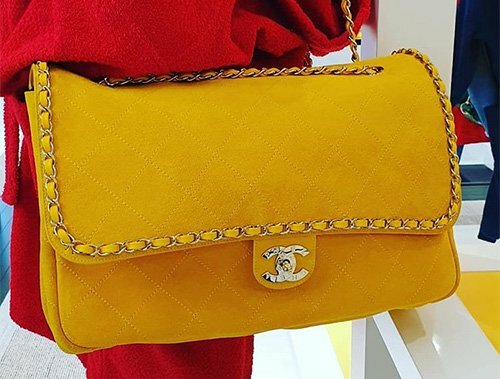 Where To Shop The Givenchy Bags With The GG Logo Quilting? The Givenchy Medium Antigona Bag with G Logo is measured 9.5’ x 12.5’ x 6.5’ (H x W x D) inches, priced at $2990 USD.